The Club features a double ended Practice Range with over two acres of tee decks and six target greens. Our Short Game Area (adjacent to the Practice Range and Golf Academy) features a 4,200 square-foot practice green, a course characteristic practice bunker, and chipping and pitching areas, all designed to prepare players for the actual course experience. 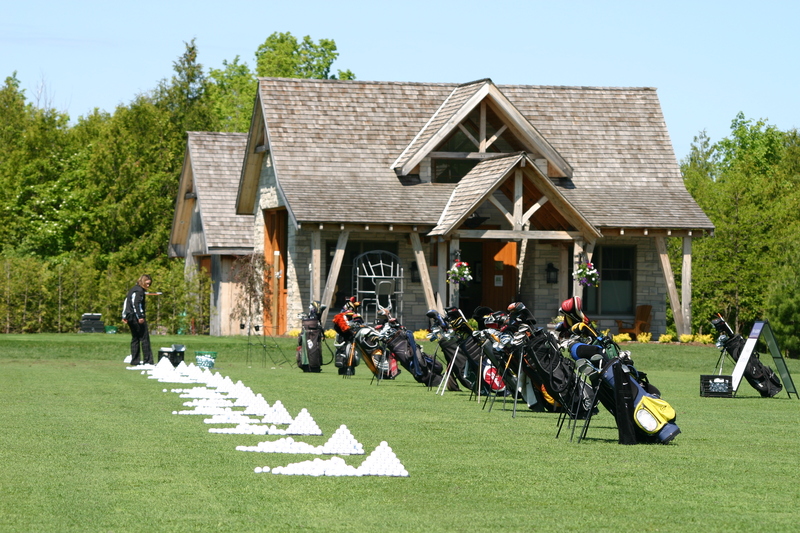 There is a separate 5,000 square-foot putting green adjacent to the Practice Range and also a 7,000 square-foot putting green overlooking the eighteenth fairway and magnificent Georgian Bay, adjacent to the Golf Shop by the first tee. We ask all Members and guests to please register in the Golf Shop before using the Club’s practice facilities, to confirm their arrival and tee time, and to ensure we may serve them properly throughout the day. Whether practicing for a short time to warm up before your round, or for a longer period to work on a specific aspect of your game, all the practice facilities needed are always readily available, and our Golf Academy Team are always available to assist you.